Karen Sandler is an American author who has previously published many romance books. After earning a BA in math and an MS in computer science, she worked as a software engineer for fifteen years. She sold her first romance novel in 1997, and is now writing young adult novels. 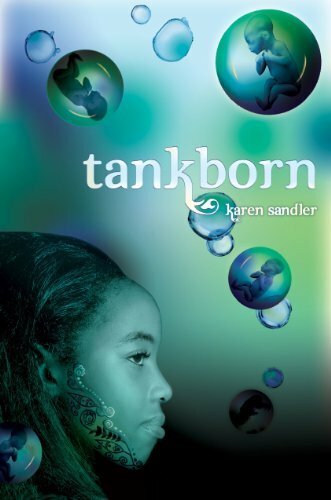 Her first young adult novel, Tankborn, is a dystopian science fiction. A special thank you to Hannah Ehrlich from Lee & Low Books, Inc. for providing an ARC from netGalley. Best friends Kayla and Mishalla know they will be separated when the time comes for their Assignments. They are GENs, Genetically Engineered Non-humans, and in their strict caste system, GENs are at the bottom rung of society. High-status trueborns and working-class lowborns, born naturally of a mother, are free to choose their own lives. But GENs are gestated in a tank, sequestered in slums, and sent to work as slaves as soon as they reach age fifteen. When Kayla is Assigned to care for Zul Manel, the patriarch of a trueborn family, she finds a host of secrets and surprises—not least of which is her unexpected friendship with Zul’s great-grandson. Meanwhile, the children that Mishalla is Assigned to care for are being stolen in the middle of the night. With the help of an intriguing lowborn boy, Mishalla begins to suspect that something horrible is happening to them. After weeks of toiling in their Assignments, mystifying circumstances enable Kayla and Mishalla to reunite. Together they hatch a plan with their new friends to save the children who are disappearing. Yet can GENs really trust humans? Both girls must put their lives and hearts at risk to crack open a sinister conspiracy, one that may reveal secrets no one is ready to face. This is a well executed science fiction novel with a riveting plot and many underlying themes that provoke thought long after the last page is turned. The world building is amazing – from the descriptions of the landscapes and arachnid based fauna (eep! ), to the holograms which render the environment ‘Earth-like’, Sandler brings her world to life brilliantly. The reader is forced to learn the foreign terminology as they read – there are no overly contrived information dumps to slow down the action of the story. The caste system employed on Loka is the most unique element of the book – based on the status of ones ancestors when they first arrived on colony ships. Skin colour, in general, separates the statuses, and this allows the book to subtly explore racism. The romance in Tankborn is refreshing to read as the female leads do not become incapacitated by their strong feelings towards the men they are interested in. Both Kayla and Mishalla are strong, like-able characters who fall in love with humans. Kayla’s romance is more riveting than Mishalla’s due to the element of danger introduced by her feelings for a trueborn, Devak. Their courtship is slow and sweet, and due to its forbidden nature, thrilling all at once. The difficulties Kayla and Devak face in understanding what separates a GEN from a human fascinated me. A wonderful novel which immediately became one of my favourite YA novels published this year. 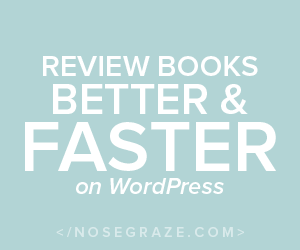 I would recommend it to any reader who enjoys young adult fiction or science fiction. Publisher: Lee & Low Books, Inc.